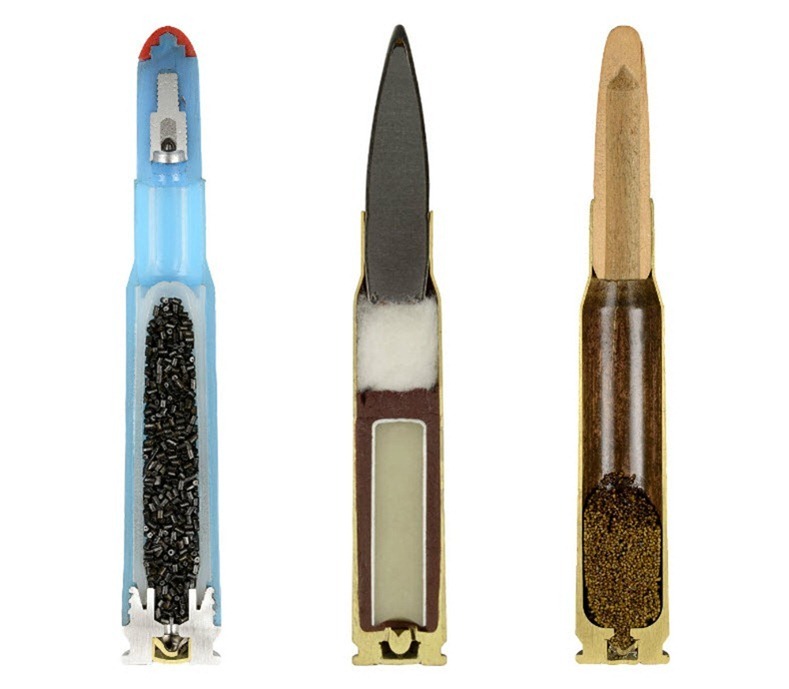 Sabine Pearlman's intriguing photo series "Ammo" features images of a variety of ammunitions that have been neatly cut in half to reveal the surprisingly varied and intricate contents inside. 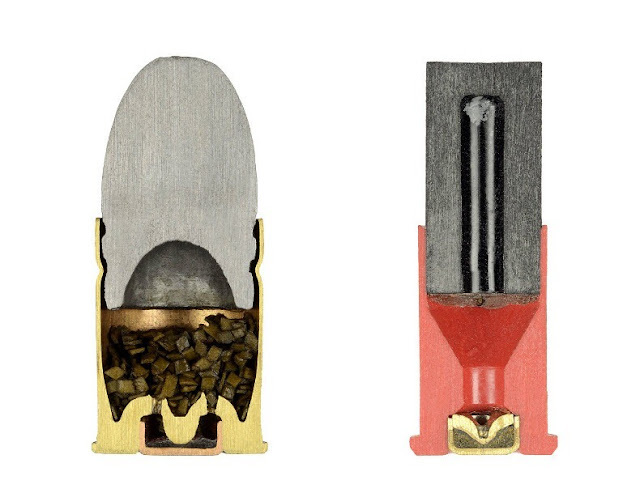 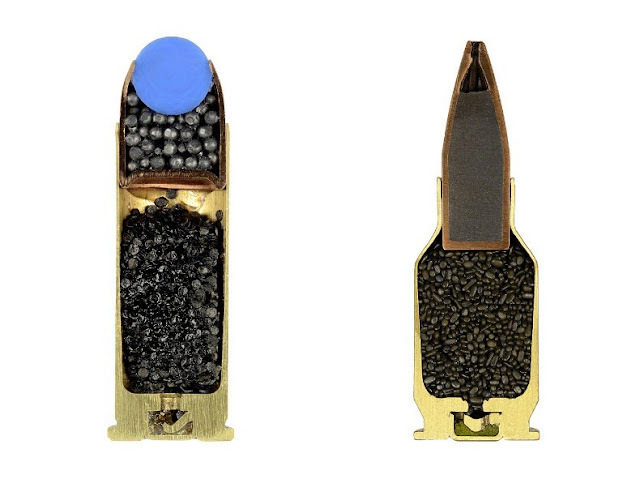 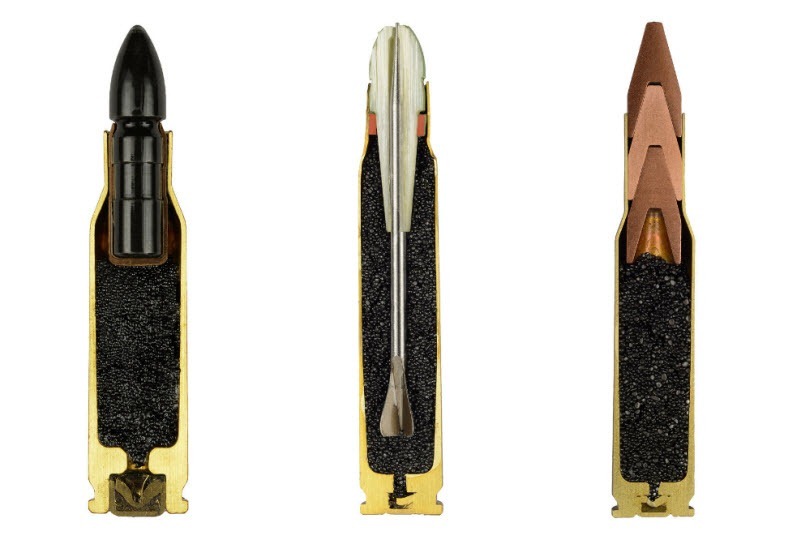 Pearlman shot a total of 900 cross-sections of ammo, in a World War II bunker in Switzerland last October, documenting the meticulous and dangerous beauty that lies beneath the bullets' casings. This one is curious - it looks like a 7.62x51mm but the interior looks like a 'sabotage' cartridge as it appears to be loaded with a blasting cap and a small amount of explosive. 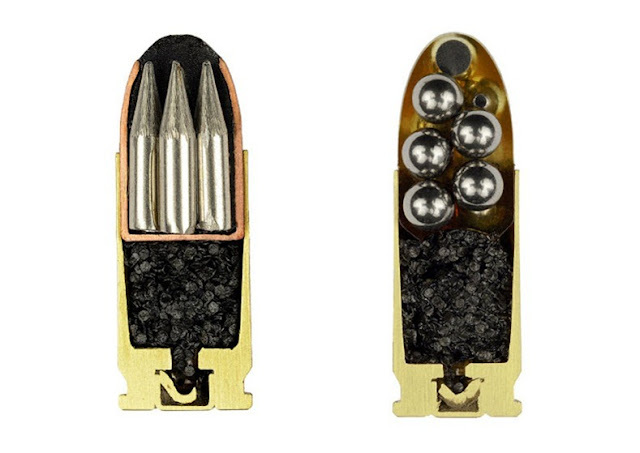 Upon further consideration, I believe it may be a 7.92mm Mauser rather than a 7.62mm NATO based on the case dimensions and bullet construction. 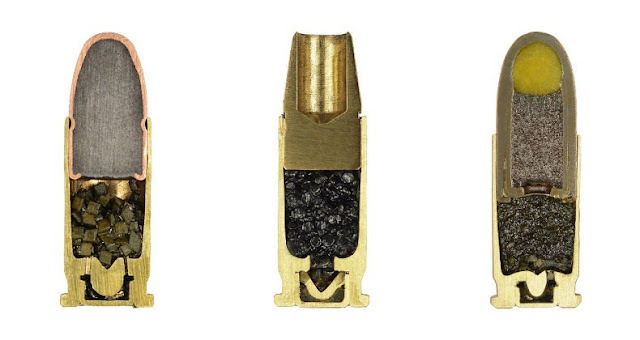 .450 Adams - the case appears too short and the bullet is too short, the cavity too shallow and it doesn't have enough grease grooves to be a .455 MkII.